APL today announced the launch of the Andino Service (ANS) – a new weekly regional service linking the key markets in Latin America. 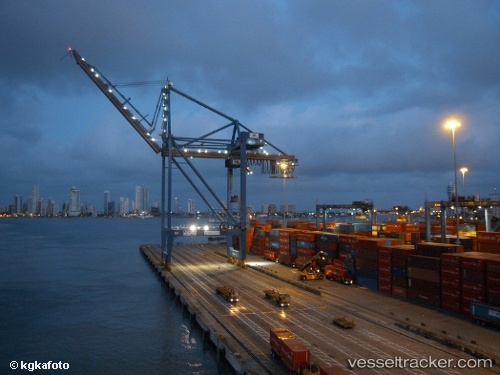 Via APL global linehaul services at the transshipment hubs of Manzanillo, Cartagena, Buenaventura and Balboa, the new ANS service will enhance connectivity between West Coast South America and major ports in Asia and the United States. The West Coast of South America is a dominant exporter of fresh produce, including seafood, fruits and vegetables, to the rest of the world. To power these exporters’ business growth, the ANS Northbound service will provide priority handling expertise that expedites shipment of these perishable reefer commodities. Commencing from San Antonio on 14 October 2016, the ANS service will call the ports of San Antonio, Callao, Guayaquil, Buenaventura, Manzanillo, Kingston, Cartagena and Balboa.